The Turkish Roundmaille with a Twist Bracelet is a beautiful rope chain bracelet that feels "soft" to your hand. It is the traditional Turkish Roundmaille weave but with the added dimension of intermittently placed twisted rings. 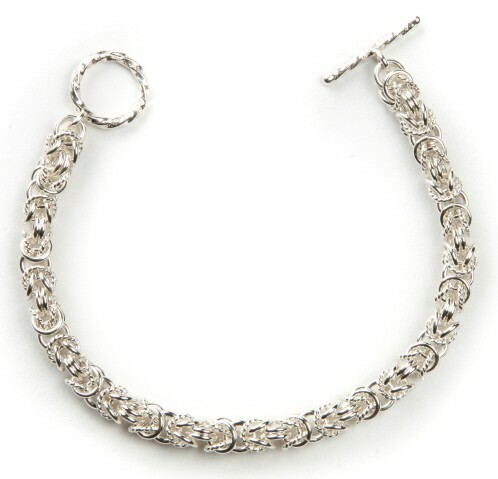 This gives a sparkle and shine to a bracelet that is already beautiful. This is a beginner weave. The clasp is not included in the kit.